After flirting with the “urban lumberjack” look last month, it was time for a change. 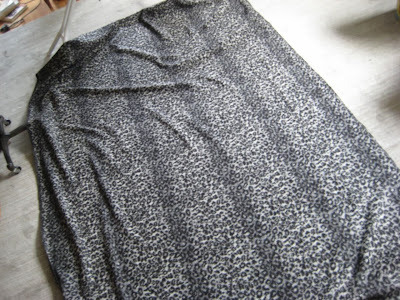 I’d purchased this Italian wool leopard print knit last fall, and in the spirit of giving credit where credit is due, I must thank my fellow Mood Sewing Network blogger Ginger, whom I happened to run into at Mood Fabrics the day I was deciding on my purchase. I knew I loved the leopard, but I wasn’t sure I could pull it off. Ginger urged me to go for it. The rest, as they say, is history. Originally, I thought I’d make a bold sweatsuit with it, but I worried that this knit wasn’t quite soft enough to wear next to the skin. 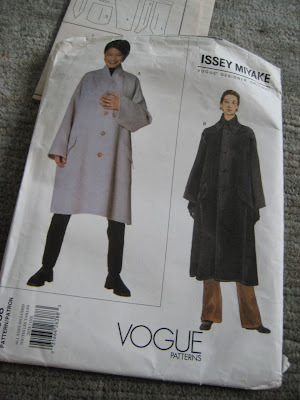 Then earlier this month I purchased a Vogue coat pattern from 1997 by Issey Miyake (2038). 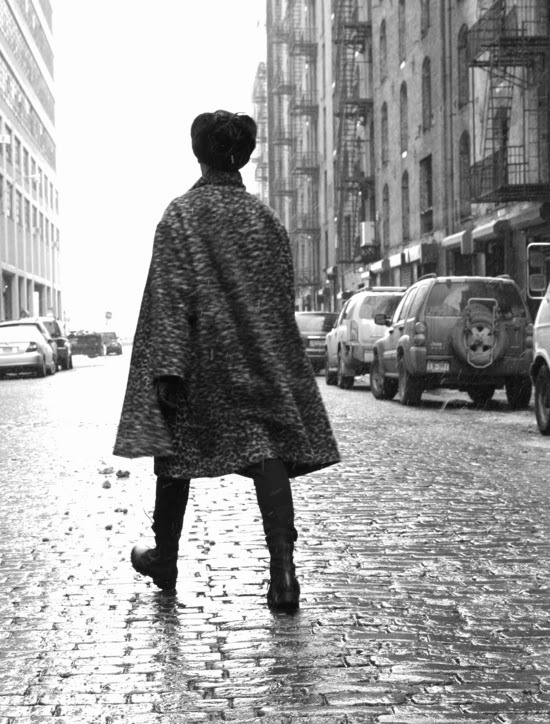 Miyake’s outerwear usually has a unisex feel and this coat is no exception. 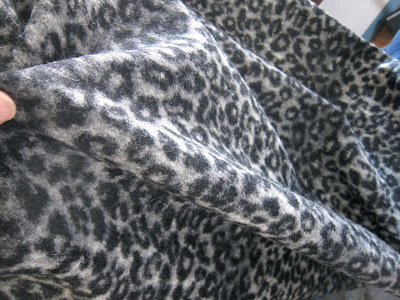 Even though Vogue 2038 is not designed specifically for knits, my heavy wool leopard print has minimal stretch, is nearly as stable as a woven, and drapes beautifully. 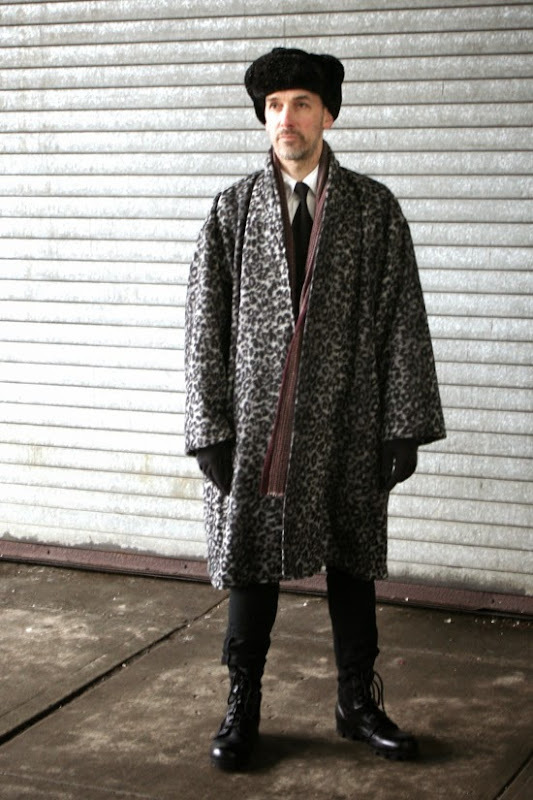 The coat has a half lining made from lightweight wool plaid suiting and front facings made from melton wool, both remnants from my stash. 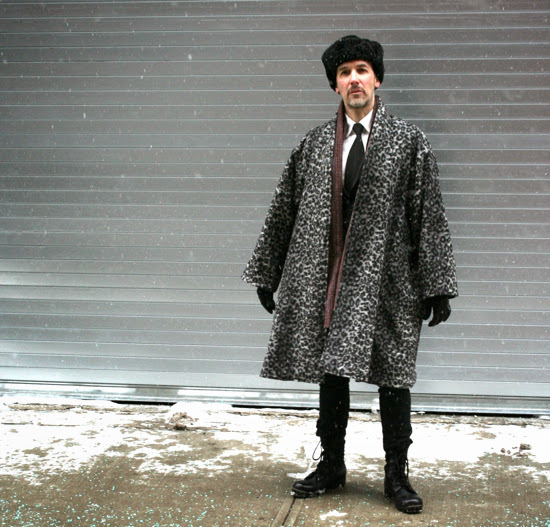 This coat is big — Eighties big — almost cape-like. It fits over a suit beautifully. It has a shawl collar and side panels that taper into sleeve gussets. How lucky for me that Mother Nature gave us another snowfall on the day of our photo shoot, providing a dramatic backdrop to a very dramatic coat. 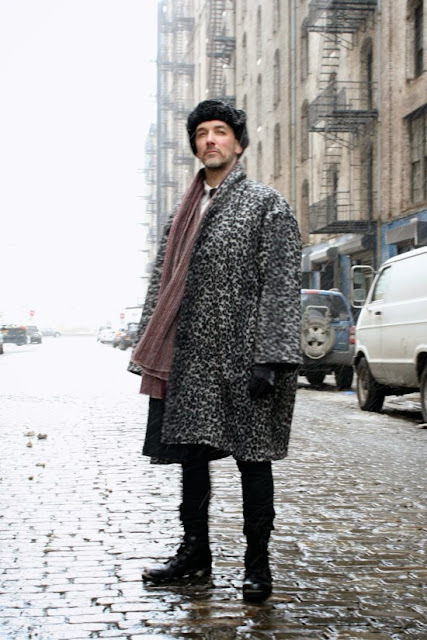 Let it never be said that men can’t wear animal prints! Beautiful cotton print becomes Beautiful shirt! Make Way for Polka Dots!